Author, speaker and entrepreneur, Amy Lynch specializes in high-energy, interactive keynotes and workshops that help companies motivate Generations Y and Z, turning them into productive team players. A Baby Boomer herself, she understands the differences between generations as well as the key needs and values that bring us all together. She specializes in helping managers appreciate and respect the gifts that generation Y and Z bring to the team, and will train groups to work together collaboratively for better bottom line results. She is the author of the award-winning, How Can You Say That?, about parent-teen communication; and she is Generation Y columnist for Biz Journals, syndicated to business newspapers in more than 40 markets. Her ideas have been featured in USA Today, the Boston Globe, the Chicago Tribune, the Dallas Morning News, the Washington Post, the Atlanta Journal Constitution and NBC Nightly News, among others. Today, as these 20-somethings enter the workplace, she helps organizations attract, engage and retain young professionals. Amy is Generation Y columnist for Biz Journals, syndicated to business newspapers in more than 40 markets; and her columns on strategic diversity management appear online in HR Hero. It’s all about how to engage four generations of employees when the outlook is challenging. Provides strategic insights into each generation’s unique leadership style as well as on how each wants to be led. As a new generation shows up for work, managers and employees need to understand them so they are productive and engages from day one. One size does not fit all! We help energize salespeople and marketing teams with dynamic new tips on how to contact with four uniquely different generations. Help for foundations and other non-profit organizations connect with four generations of members, donors and volunteers. We teach associations ways to attract new members and keep current members active and engaged even in an economic downturn. Each generation defines customer service differently; tapping into these difference can create a competitive advantages. 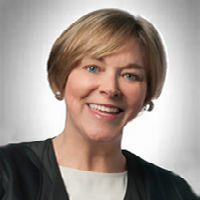 Baby Boomer Amy Lynch is a respected authority on aligning multi-generational teams in the workplace. She specializes in high-energy, interactive presentations that help leaders and managers fully engage the talents of each generation for better bottom line results. Audiences remember Amy as a masterful storyteller who helps each generation recognize its own behaviors with humorous, insightful anecdotes drawn from her experiences as a speaker, author and entrepreneur. Her keynote speeches and workshops have entertained and enlightened groups in the US and abroad. Her audiences have included Comcast, MTV, Tetra Pak, Executive Women International, the National Association of Federal Credit Unions, various state governments and federal agencies, and a host of engineering, accounting and financial firms. She also lectures regularly at the business schools of Vanderbilt and Belmont Universities. For more than a decade, Amy researched and wrote about Millennials as they moved through the educational system and into the workplace. She authored the award-winning “How Can You Say That?” about parent-teen communication, as well as numerous articles in publications, including First for Women, Success, Ms. and Self. Her ideas about generations have been featured in USA Today, the Boston Globe, the Chicago Tribune, the Dallas Morning News, the Atlanta Journal Constitution and NBC Nightly News. Along with other members of the BridgeWorks team, she is currently writing a new book about strategic sales and customer service in a four-generation marketplace. Amy holds an M.A. in literature, with an emphasis on cognitive theory and composition. She began her career as a curriculum designer and then a magazine editor, a position that required managing all four generations. She has launched and sold publications, and is the recipient of Parents Media Awards and an Utne Alternative Media Award, along with writer-in-residence grants from the Ragdale Foundation, Hambidge Center and the HedgeBrook Foundation. She lives in Minneapolis and enjoys Skyping with her Millennial daughters and her next generation granddaughter. She has completed three triathlons, with a fourth planned for this summer.